Yes, it is true. It’s in the Bible. Ruth watched Boaz from the cover of darkness and noted the place where he lay down on the threshing floor. Then, she waited until he was asleep and crept up beside him. She pulled the covers off of his feet, so the cool night air would awaken him. Then she lay down next to his feet, waiting for him to wake up and discover her there. Not exactly the kind of things we teach our daughters to do, right? “Honey, find a farm and look for someone who is asleep under a tree after he’s finished his work and had a big meal. Pull his covers back and lie down next to his feet. He will tell you what to do.” No, I don’t think so. But, remember, we are not part of the Jewish society in 1200 B.C. The laws of levirate marriage do not apply to us, where a close relative would marry his brother’s widow. We do not practice arranged marriages in this culture. And, for the most part, women do not propose to men. This story of Ruth’s proposal to Boaz is descriptive, not prescriptive. This is true of many things in the Bible. For example, when was the last time you marched seven times around a car you wanted to buy at a local car lot and then blew a trumpet, expecting the dealer to turn over the car to you at no cost? There is a common connection we can find here in Ruth’s brief courtship. Naomi worked a plan, however strange it may seem to us, so that Ruth could be in a position to marry Boaz. I believe we as parents should also work to help our sons and daughters be in a position to marry. First, pray for your children and for their future spouses, if they are to be married. 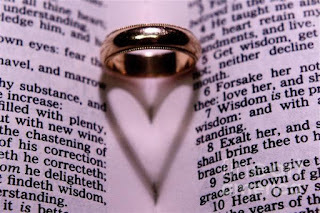 Marriage is a gift from God, just as singlehood is. Pray that your children would joyfully receive his gift. Third, provide opportunities for them to meet godly young people. Now, there are silly ways to do this, like a full-page ad letting people know that your son or your daughter is available: Here’s a better idea. Invite the young people in the church and community to your home for volleyball or for a Bible study or for a cookout. Get to know your teenager’s friends, and help your children grow in discerning good character. 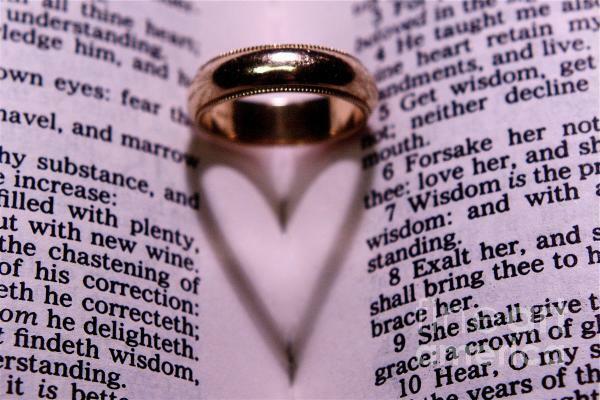 The world needs to see godly marriages. For that matter, so does the church. Let’s do our part, parents, to make that happen. Show of hands: who bows to peer pressure?